Welcome to Cloudeight InfoAve Premium issue #809. Thank you very much for subscribing and for being a part of our Cloudeight family. We appreciate your friendship and support very much! BIG shout out for Darcy, TC, and EMSISOFT's David Biggar for the best possible customer service there is anywhere! My EMSISOFT program refused to update saying my license key (good through June 03, 2020) had expired and would not update. Thanks TC. My computer is running great thanks to you. Last year, I had Geek Squad try to fix it and when they got done it didn't run any better than before they "fixed" it and it cost me $150. I don't know how you guys what you do for the small price you charge. My computer is running as good as new and I'm recommending you to my friends. Sally. Love how much my Windows 10 computers looks like my old Windows 7 computer thanks to Cloudeight. They made it look enough like Windows 7 that it's easy to forget I'm using Windows 10. It was just what I was looking for! Thanks Cloudeight! A big Cloudeight "Thank you!" to Christine, Sally, Clifford, Ellen, Marilyn, Kenneth and all the others who took time out to write to us and/or shared us on Facebook! We appreciate your kind words and your support very much! EB & TC. Hi Irwin. Thank you! Windows 10 comes with several dozen fonts. If you're interested, you can see a list of all the fonts that come with Windows 10 here. If you installed a lot of custom fonts on your old computer then your new computer would seem to have comparatively few. So, all you have to do is install more fonts on your new computer if you want a bigger selection of fonts. Here's an article we wrote about how to view and install fonts on Windows 10. This article also includes some nice places to download (mostly) free fonts. Irwin wrote back: "Hi TC. Thanks again for your prompt response to my query. I'm having fun just scanning through the multitude of fonts. All the best, Irwin T."
Hi Rosemarie. Thanks for thinking of us. 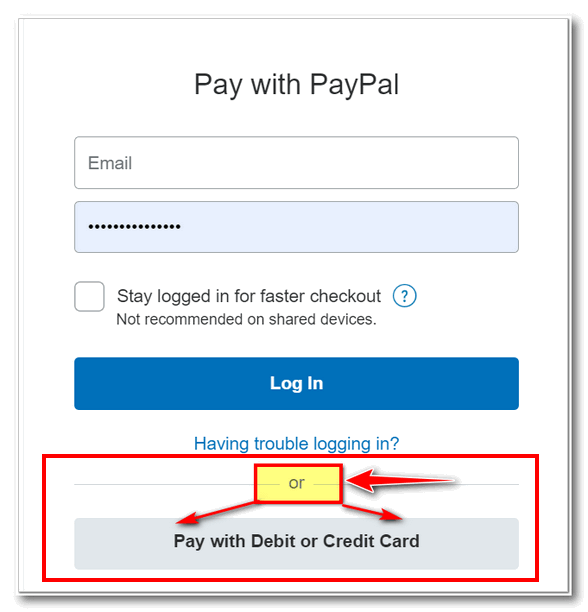 There is no requirement to join PayPal. PayPal is our credit and debit card processor. You don't have to join PayPal or even have a PayPal account to make a donation or buy a product or service from us. 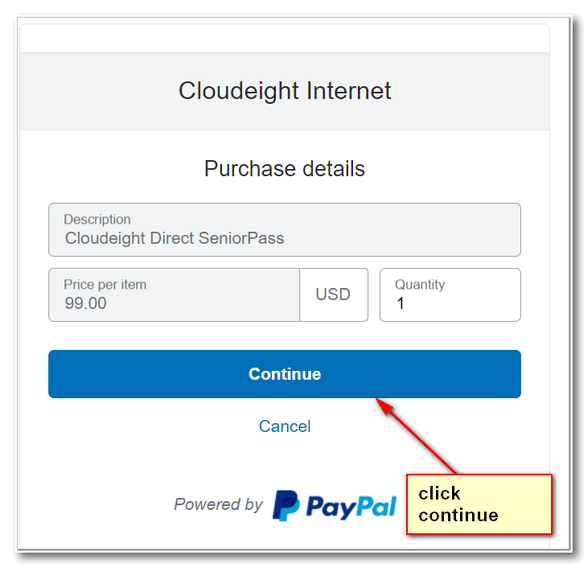 When you click to make a donation or purchase, the next window you see has the option to pay directly by credit or debit card, or by PayPal. Step one: Click the "Buy Now" button on our donation or order pages to buy. Step three: In the next window, click the big gray button that says "Pay with Debit or Credit Card"
That's all you need to do to pay directly with a credit or debit card. Hope this helps you. Thanks so much for your support. At some future date during the next year I would like you to install the Free Windows 10 Operating System on my Dell Laptop and have you make it work and look like Windows 7. Will the Free Download still be available for the next year? If not, perhaps you would kindly let me know when this should be done. I would like to continue using Windows 7 for as long as I can. I am 92 years old and not computer savvy so any help/info you can give me would really be appreciated. I think my Laptop is between 5-7 years old and I really do not want to buy a new one at this late date (age) so perhaps you would advise me what is best for me to do. Thank you for your help in this matter. I have been with Cloudeight for many years now & without you, I would never have made it this far! You are both so good to all us nerds who do not quite understand all the new technical jargon .... thank you so much for all your help & may we continue to be able to rely on you for many more years to come. Hi Margaret. Thank you so much for your kinds words and long-time support. We have no idea how long Microsoft will keep the Windows 10 upgrade a free upgrade. That's something only Microsoft knows. Officially, the free offer ended 2 years ago. The only way to be sure you get the Windows 10 Upgrade free is to get it now while it's still be offered free. As far as upgrading to Windows 10, we've made a tutorial on how to do it. Once you have Windows 10 installed, we will be glad to help you make it work and look more like Windows 7. Here's our article about upgrading to Windows 10 from Windows 7. Our Windows 10 Transformation Service to make your Windows 10 computer look at work more like Windows 7 is available here. If you need any more help or information, just let us know. We'll be glad to help you. What is a good program for viewing picture because window 10 does not offer window photo viewer? Those come with every Windows 10 computer. If you're looking for a simple and fast photo viewer and basic photo editor, we recommend IrfanView. You can read more about IrfanView and/or download it from here. Both of us have been using IrfanView for over 20 years. We think it's the best and fastest free image viewer available. Paul wrote back..."I downloaded this program and it is great. Thanks for the great help. Paul"
Hi TC and EB. Sorry to bother you, but this wee problem has my head turned. In Thunderbird Mail, at one time I had all my address book contacts in a column on the left- hand side while writing an e-mail, which was particularly handy when forwarding an e-mail to multiple friends and family, but now it has disappeared and I have searched and tried to get it back, so far without success. Would you have any idea of how I can get this address book contacts back to the left-hand side while writing an e-mail?.I am using Version 60.6.1 of Thunderbird Mail. Click Write, to open a new mail to send, then click the F9 key. That should bring your address book up on the left side. And it will stay there for all future new emails and replies as well. I was trying to download key finder thing to get my wireless key from my computer. “wirelesskeyview”. When I tried to download it I got a failed message that said it contained a virus. I would like to know how to get it bypassed as a safe download. Hi David. Many of the tools that you find on Nirsoft are considered hacking tools, but Nirsoft makes them available for beneficial purposes... to help people find passwords, program keys, etc. So, many antivirus programs block them, because antivirus tools can't reason: they don't know these hacking tools are made to help people. I can't see where Emsisoft is blocking WirelessKeyView from Nirsoft, it appears browsers are blocking it. I tried downloading it with Firefox, Chrome, Edge and even IE and I get a message that says "File deleted, virus detected". But the message didn't come from Emsisoft; at least I didn't see it in quarantine. It really isn't a virus. But you don't need any programs to find your wireless password anyway. You can find your wireless password without using any 3rd-party program. See the following page to learn how to find your wireless password using Windows command prompt. I have a PC with Windows 7. I was unaware that is going away next year. Are you able to upgrade me to windows 10 and then do your magic to make it look and operate like windows 7? I really like what I have. I am not savvy in adjusting to new technology. Hi Nancy. Windows 7 is not going away next year. 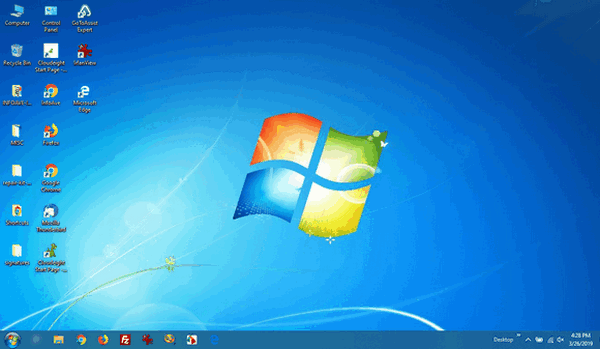 Microsoft will stop supporting Windows 7 next January. After that Windows 7 users will not get any more security updates or patches, which will leave Windows 7 users vulnerable to exploits and other bad things. However, Windows 7 will not suddenly stop working. Upgrading to Windows 10 is a fairly simple process. We have written an article showing exactly how to do it. If we get enough requests, we'll certainly consider adding a "Windows 7 to Windows 10 upgrade service" to our Windows 10 Transformation service. However, once you start the upgrade, it's all automatic. And it will continue until it finishes and Windows 10 is installed, or it fails and your computer rolls back to Windows 7. And if you do decide to upgrade to Windows 10 yourself, we will be glad to help you make it work and look more like Windows 7 with our Windows 10 Transformation service. 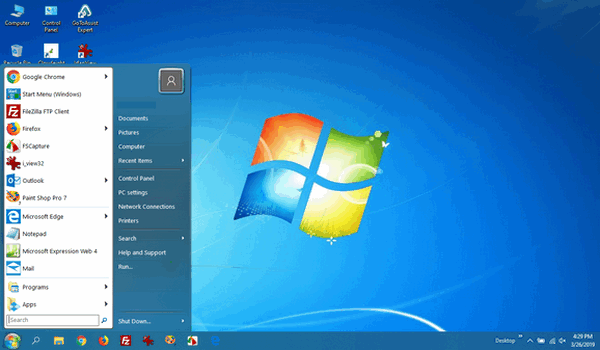 Here's our article on how to upgrade to Windows 10 from Windows 7. If you need any more help or info, please let us know. They're called Function Keys -- most of us just call them the "F" keys. They're usually at the top of your keyboard, and for the most part, they go unused. That's too bad because they can be very useful. Here are some functions we think are useful that can be done with a tap on an "F" key. The F1 key when using a program will open its help file. Select and highlight a file or folder and press F2 key to quickly rename that file or folder. You can also use the F2 keyboard shortcut to rename multiple files in batch mode. Just select multiple files using your mouse and press F2 to rename the selected files. F3 will launch a search bar when using a web browser like Internet Explorer, Google Chrome, Firefox, etc. Pressing the F4 key toggles and highlights the address bar of Windows Explorer (File Explorer) when Windows Explorer (File Explorer) is open. Quickly refresh to view updated contents of a folder or items on the Windows desktop by pressing F5 key. F5 will also refresh a Web page while using your favorite Web browser. To view more of a Web page without the clutter of menu bars, toolbars, etc., press the F11 while visiting a Web site. To go back to your normal browser window, just press the F11 key again. No matter how much we think we know about Windows, we’re always finding something new. Well, maybe not new, just different. The “Windows Accessories” menu is on Windows XP, Windows Vista, Windows 7, Windows 8, Windows 8.1, and Windows 10. Back in the days of XP, Vista, and even in Windows 7, Accessories was listed under “A” alphabetically, but in Windows 10, it’s listed under Windows Accessories and hence, it’s listed under the “W” section of the Start menu. So, while it used to be near the top and easy to find, now it’s hidden near the bottom of the Start menu and you might not have noticed it. 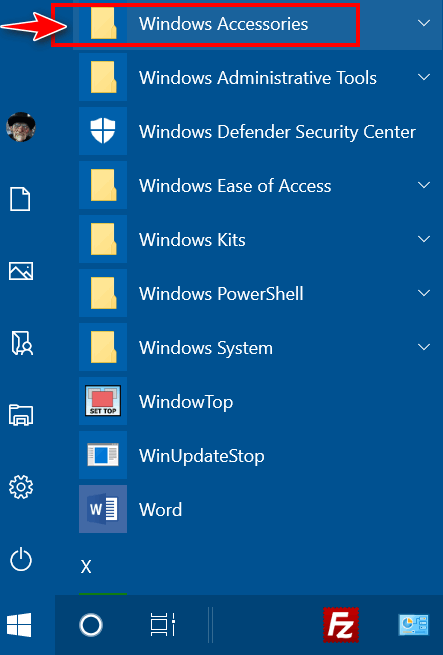 To get to Windows Accessories, you have to click the Windows 10 Start button, then scroll down to the W’s and find Windows Accessories. As you can see there are some useful Windows programs are hiding in the Window Accessories menu – things like Character Map (which helps you make stuff like æ Ø ß ¿ – characters not normally available on your keyboard – well at least not on my keyboard). 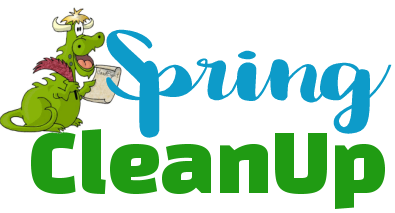 You’ll also find WordPad, Notepad, Snipping Tool, Quick Assist, Internet Explorer and more. And if anything in the Accessories menu is something you use often, you can make a shortcut on the Start menu or Taskbar. All you have to do is right-click the item you want to put on your Start menu or Taskbar and choose “Pin to Start” or click “More” and then “Pin to taskbar”. Below, we’re adding "Notepad” to our Windows 10 taskbar. Now with Windows 7 reaching its end-of-life, many of you using Windows 7 are contemplating whether to try to upgrade the old Windows 7 PC to Windows 10 (you can still do that free) or just go out and buy a new Windows 10 PC. We prepared this guide for those of you thinking about buying a new Windows 10 computer. Computer prices have never been lower than they are right now – so it’s a great time to buy. This guide is for average computer users – those of you who use your computer mainly for browsing the Web, email, having fun with graphics using PaintShop Pro or similar, using Facebook and/or Skype, chatting, etc. If you’re into high-end gaming or high res 3D rendering or work with very large databases or CAD drawing, your needs will certainly be different. At one time laptops were expensive and underpowered, but not anymore. Laptops have the same features and as much or more power as desktops and all-in-ones, with one big advantage: You’re not tethered to one spot in your home. And right now laptops are exceptionally inexpensive. You can get a laptop for less money than an equivalent desktop or all-in-one. One of the most important things to consider is RAM – your computer memory. The more memory the faster your computer will run. OK, we’re generalizing. But generally the more RAM you have the more you can do with your computer – and the more responsive your PC will be. You’ll see a lot of low-end computers with 2 GB of RAM, but unless you’re not planning on doing much multi-tasking, you’re probably not going to be happy with 2GB of RAM. We suggest that you don’t buy a computer with less than 4 GB of RAM. If you can afford a few dollars more, look for 6 GB or 8 GB of RAM. For example, here’s a Dell laptop with Windows 10 Home (64-bit), a decent Intel i3 processor, a 15.6″ display, 8 GB of RAM, and a 1 TB hard drive for $368. 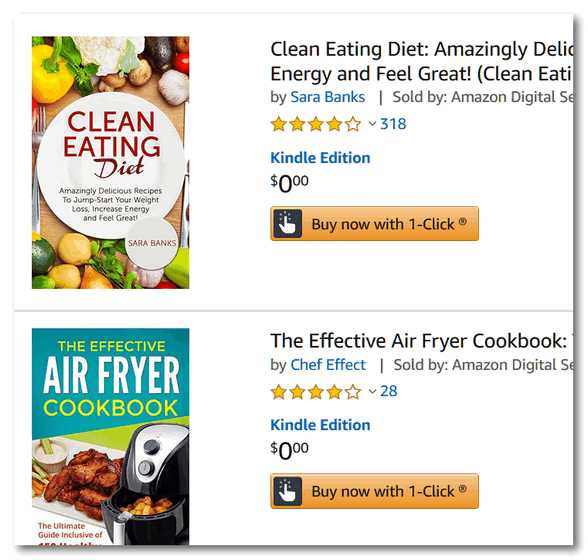 (Price and link valid as of 4/7/19.) Just a few years ago, this laptop would have been in the $500 to $600 price range. If you have to cut corners to meet your budget, cut corners on hard drive size or processor type, not RAM. The amount of RAM your new computer has is your most important consideration. It would be hard to find a laptop or desktop with less than a 500 GB hard drive these days. 500 GB or 1 TB hard drives are standard these days. If the price is a consideration, computers with 500 GB hard drives are going to be cheaper than those with 1 TB hard drives, and 500 GB is still a substantial amount of storage. So grab a PC with a 1 TB hard drive, unless it strains your budget. Most of you will find a 500 GB HDD is adequate. A word about SSDs (Solid State Hard Drives): They’re nice. They’re super fast. But they cost more than a standard HDD (regular hard drive). To get the same space on an SSD as an HDD you’re going to have to part with more money. If you’re on a budget, you’re probably going to be looking at PCs with standard hard drives (HDD). And that’s OK. Most people will be happy with HDDs – that’s what most of us are using right now. Your processor is the brain and heart of your PC. But if you’re an average computer user, and just using your computer to do the things we mentioned at the beginning of this article, then the kind of processor or the speed of your processor, will not be a major consideration for you. Most low-end computers are going to have AMD processors and there’s nothing wrong with that. If that new computer you’re looking at doesn’t say “Intel inside”, don’t worry about it. Most of us would never know the difference between an AMD and an Intel processor unless we’re benchmarking freaks- but we’re not, right? Intel or AMD? If you’re the typical PC user, it won’t matter to you. Any computer you buy running Windows 10 will have a processor that is adequate to run Windows 10. Generally, you’re going to want at least a dual-core processor that runs at 1.6 GHz or faster. But when it comes down to buying a PC by brand or type of processor or the amount of RAM it has – choose the one with the most RAM. Size matters? Yes, it does – kind of. We have laptops with 17″ screens; we have laptops with 15.6″ screens. Both are great for all the things we do. The laptops with smaller screens are easier to tote around, they’re smaller and lighter. So, if you’re going to be traveling or moving around with your laptop, you might want to opt for the smaller screen. Screen size, though, is a personal choice. Choose the screen size that you like best and that suits the way you use your computer. If you’re going for an all-in-one or desktop PC, the same applies. Get the screen size that works best for you. Generally, the smaller the screen size the less expensive the computer. Touchscreens: Touchscreens are nice. I’m using a 17″ touchscreen laptop right now. Well, actually I have one right now. I’m using a mouse. I’m old school. I keep forgetting I have a touchscreen. It’s great when I remember I have one. Computers with touchscreens are generally more expensive than computers without touchscreens, although the price difference is getting smaller and smaller. Someday, we imagine, all PCs will have touchscreens. The brand name of the computer you buy is not one of the most important considerations. Most brands you recognize should be fine. Some people hate certain brands because they have had trouble with that particular brand in the past. However, all brands have good and bad reviews. HP, Dell, Acer, ASUS, Toshiba, Sony and Lenovo all have their fans and detractors. We’re not going to recommend one brand over another. All brands can are good and all brands are bad. It depends on who you ask. If you have used a brand in the past that you’ve been happy with, then buy that brand again – but only if the price fits your budget. But don’t be “brand-blind”. Don’t be afraid to try one of the other major brands. 7. ) Windows 10 Home or Professional? Most home users are not going to need the additional features of Windows 10 Professional. Besides the fact that Windows 10 Professional costs about $100 more, it has features most home users won’t need – unless you’re a computer geek. 8. ) 32-bit or 64 bit? We recommend Windows 10 Home 64-bit rather than 32-bit. There is no difference in cost. Windows 10 32-bit computers can use only 4 GB of RAM, whereas Windows 10 64-bit computers can use virtually unlimited amounts of RAM. The amount of RAM a 64-bit computer can use is limited only by the computer’s motherboard limitations. If you’re on a budget, you’ll have to make choices. That’s OK – there are a lot of computers to choose from. You’re going to have to choose between screen sizes and types, hard drive sizes and types, processor brands, speeds, and types, computer brands, and RAM. In our opinion, RAM is the most important of these. If you buy a computer with inadequate RAM, your computer will be slow and multi-tasking difficult, and none of the other things will matter much. Most of us who have been using Windows for years remember the days of 540 MB (MB not GB!) hard drives and RAM that was measured in MB, not GB. A typical PC in the year that the much exalted Windows XP was released had 2 GB hard drives and 1 GB of RAM. Cheap, low-end PCs in those days cost $700 to $800 or more. We’ve come a long way since then. Shop around. You’ll find great deals if you spend some time and look around. We found that aforementioned Dell computer for $368. It comes with Windows 10 Home 64-bit and has a decent Intel processor, a 1 TB hard drive, 15.6″ display and 8 GB of RAM. Most of you would find it to be quite adequate for your needs. If you take your time and shop carefully, you will find a PC that does everything you need it to do at a price that fits your budget. If you’ve been using Windows 7 for years and you’re concerned about the learning curve involved in learning Windows 10, we can help. We can make your Windows 10 PC look and work a lot more like Windows 7. See this page for more information. Keeping browsers updated is one good way to keep them more secure. 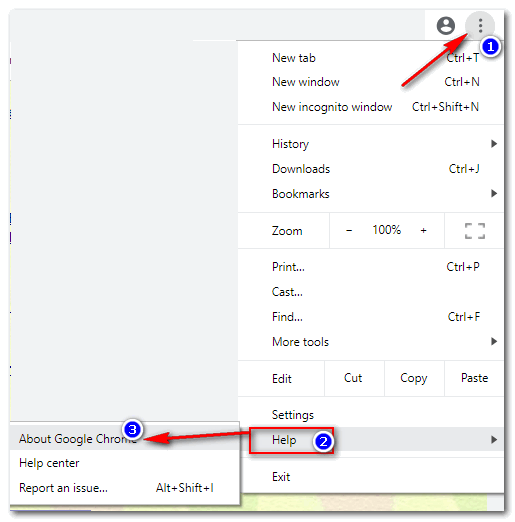 Since Chrome is now, by far, the most popular browser, we’re going to show you how to make sure you have the newest version of Chrome installed – and if you don’t, how to manually update it. Most of the time, Google Chrome will update itself automatically. However if you want to check to make sure you have the latest version of Chrome and update it if you don’t, it’s easy to do. As soon as you click “About Google Chrome”, you’ll see Chrome checking with the server. 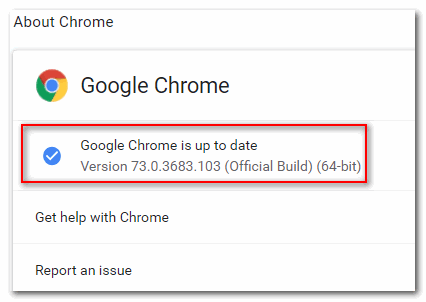 If Chrome is up to date, you will see “Google Chrome is up to date” along with the version and build number. If it’s not up to date, Google Chrome will update to the newest version. When it’s done downloading updated, you’ll see “Nearly up to date! Relaunch Google Chrome to finish updating”. Just click the “Relaunch” button to finish updating Chrome. 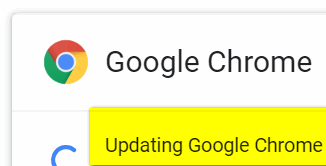 If you have problems updating Chrome, you can download the current version from Google and install it over your current Google Chrome installation. That way you won’t lose your bookmarks or extensions – or at least you shouldn’t. 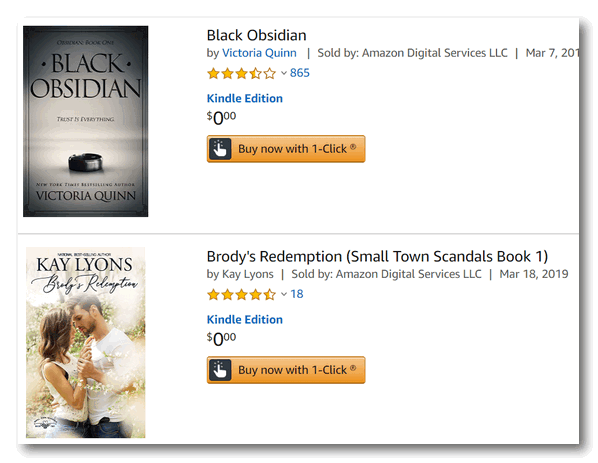 If you don’t have a Kindle reader or Kindle Fire, no problem. You can download the free Kindle app for Windows PC as well as IOS, Android, and Mac. To get your free Kindle app visit this page. Imagine a gym bag or carry on suitcase with a handle loaded with software. Imagine lugging it with me everywhere you go. That's what portable software is. You can lug it around with you. NO! That's not what it is. No lugging needed. Portable software does not have to be installed, so you can take it with you and run a program or programs from a USB flash drive. No can do with installed software...portable software only, please. Most of the software most of you use is installed software. That's the kind you install and it adds a shortcut to your desktop and maybe to your start menu and taskbar - and that adds things, sometimes quite a lot of things, to your registry. And somehow many of you have the opinion that portable versions are ersatz versions of the real software, but that's not true - in fact, there are many good reasons to opt for the portable version over the installed version whenever you have a choice. Now you want to know why? Good, we are going to tell you why. The first thing we'll point out is that if something doesn't install, it doesn't bundle things in its installer. And anytime you can feel pretty confident about putting a program on your computer without having to sit like an armed sentry waiting to see what crazy software the installer is going to try to sneak unto your computer without your knowledge If you don't pay attention to these kinds of bundled installers, you're going to have a mess - a big mess - that's not going to be easy to get rid of. You'd think it would be illegal to ruin someone's computer, but there's no law we know of against software bundling because in the tiny print of the 5000-word EULA there's probably legalese saying that if you install this software you are agreeing to everything and you can't come back at the software manufacturer even if your computer ceases to function. And the second reason you should choose portable over installed software is that portable software makes no changes to your registry, adds no shortcuts to your start menu, taskbar or desktop. And best of all, in order to uninstalled portable software, all you have to do is right-click on it and choose "Delete" and it's gone, gone, gone I tells ya! And the final reason why portable software is better than installed software is, it never helps itself to a place in your Windows startup programs list, like so many installed software programs do. For those reasons and more we probably haven't even thought of, we always choose portable versions over installed versions when we have a choice. There are exceptions of course, but for most applications, a portable version offers all of the features and none of the drawbacks. A portable version runs when you click it (or its shortcut if you made one), and it's uninstalled when you right-click it and delete it. It doesn't make any changes to your computer and you can even put it on a flash drive and take it with you. So, then next time you have a choice between a portable version and a version that comes with an installer, choose the portable version. We think you'll be happier and your computer will be happier too.